We have a number of wood chippers at access2trees, which are perfect for use in a wide range of different situations and topographies. We are able to work efficiently by carefully choosing the right machine for each job. We have our road tow Jensen 530, which is attached to the back of our vans. It has a 6 inch feed roller, which is great for small trees and branches. It works well on roadside and is very easily manoeuvrable. We also have a bigger, tracked machine which is our Jensen 540. The tracks allow it to be versatile and enable it to access potentially hard to reach places with varied terrain, such as in woodlands and fields. 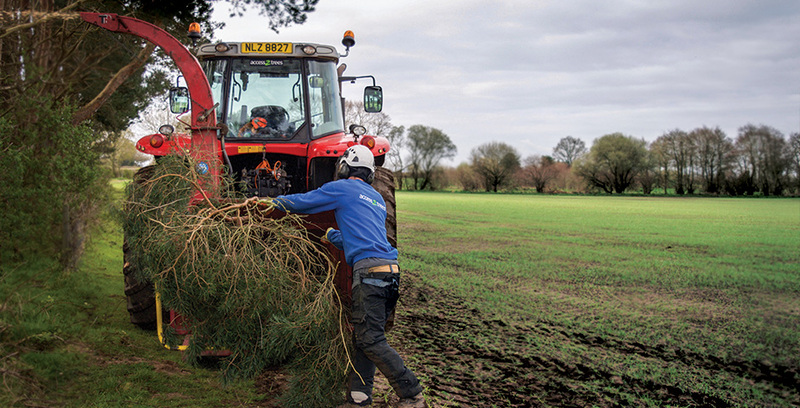 It also has a large feed roller which is 8 inches wide, allowing bigger trees and branches to be chipped, increasing the efficiency and quality of work produced. Finally we have a tractor mounted TP 250 chipper. 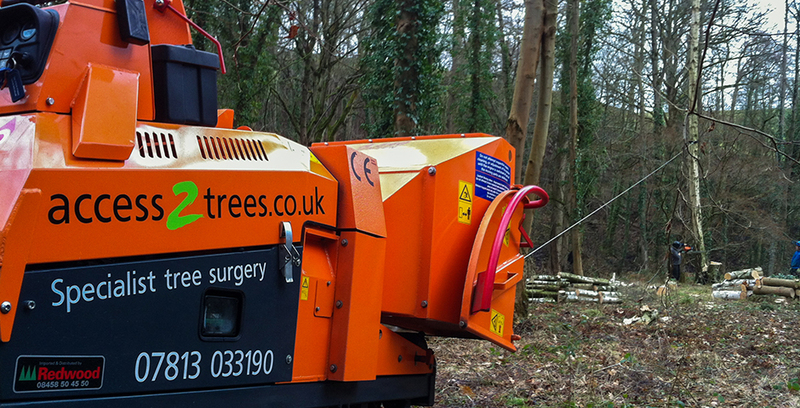 This machine is perfect for large scale jobs such as foresty or farmland work, as we can chip trees with diameters of up to 10 inches. 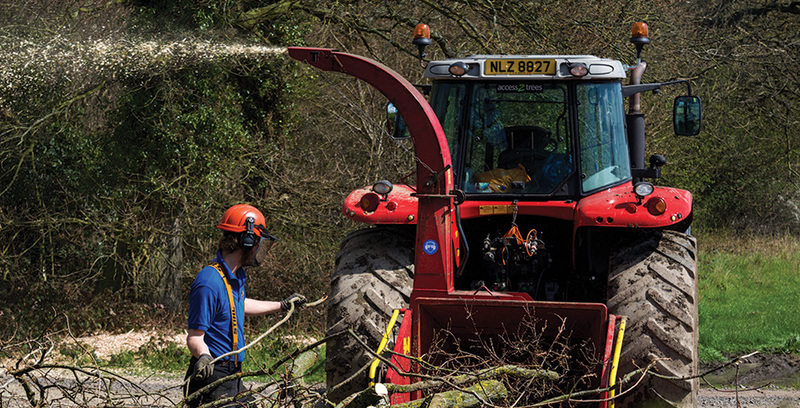 Our large range of chippers ensure that we are extremely well equipped for any situation, providing high quality equipment which allows for optimal efficiency and operation across a variety of different terrains. Should you wish to keep your wood chip on site we can tailor the quality of chip produced to meet your specific requirements. Alternatively it can also be removed off-site. 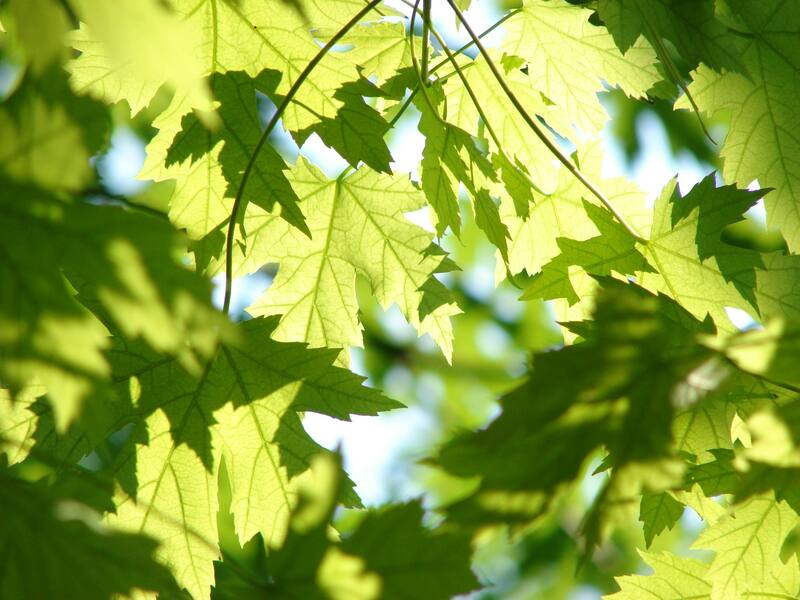 The majority of the chip we remove off-site is recycled into a bio-mass product, which is then sent to be burnt to create recycled energy.